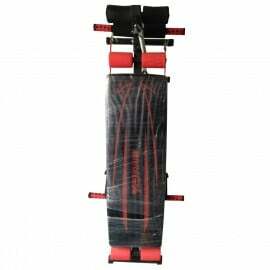 Double wheeled exerciser is an excellent tool for losing weight instantly at home. It strengthens your abdomen, arms, shoulders and back. The wheels are molded in a steel rod holding which you can do different exercises.